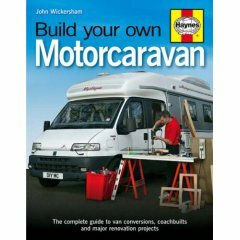 The books below about VW Camper and related topics are amongst the best available at the present time. 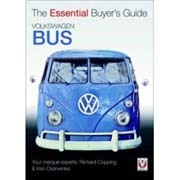 If you know of any good Volkswagen Camper book that is not listed please send us an e-mail and we will add it. The books can be purchased online by clicking on the “Check Price and Buy It” link below the book review. The webmaster of this site is a participant in the Amazon EU Associates Programme an affiliate advertising programme designed to provide a means for sites to earn advertising fees by linking to Amazon.co.uk. It has taken some time for Volkswagen's third-generation Transporter to gain the iconic status freely awarded to the first-generation 'Splittie' and its successor, the 'Bay'. Now, however, the T3, also variously called the T25, 'Wedge' or [less flatteringly] the 'Brick', is well and truly established as part of the classic VW scene. In part, this has been down to the soaring prices and limited availability of the earlier models, but perhaps too the T3 has finally been recognized as a worthy successor to those venerable classics, and maybe even cherished as the last of the air-cooled Volkswagens. This book documents and celebrates the many different camping conversions built on the Volkswagen Transporter and Microbus base across five decades. Until the advent of the new T5 generation in 2004, Volkswagen never made a factory-fitted camper, preferring to approve conversions carried out by firms such as Westfalia, Devon, Dormobile, Sundial and Danbury. However, many other different companies offered conversions on the VW base and the models produced by over forty different converters are described and pictured here. This volume contains detailed, step-by-step instructions for converting a VW Transporter T25/T3 or T4 van or bus to a Camper. It gives advice on how to choose the best van for your needs and prepare it - how to plan the layout and choose fittings, how to fit an elevating roof, how to cut panels and fit utilities. One of the main attractions of the VW Bus, apart from its iconic looks and rugged reliability, is the way owners take the bus to heart and into their family, and set about personalizing them through both exterior and interior design and styling. Over the years, most campers have seen extensive use and, unless you are lucky to find a complete original-condition camper, then some work will need to be done to bring the interior to the standard you want. Have you always fancied a VW Camper but don't know where to start? Perhaps you own one already but secretly crave something with the latest creature comforts, or maybe a head-turning classic air-cooled model. Whatever your dream, the VW Camper Buyers' Guide will help you on your journey to making it reality. Whether you are new to VW Campers or a seasoned enthusiast, the VW Camper Buyers' Guide contains a wealth of expert advice to help you find the perfect example of this iconic vehicle. 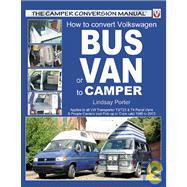 Convert your own VW panel van to a Camper, and you've got the best of all worlds, as Lindsay porter's manual shows. The T5 Transporter, the world's best selling van is great to own and you'll save a fortune compared with the cost of buying a ready-converted Camper. Follow the detailed, highly illustrated instructions in this manual and you can't go wrong! Over 500 illustrations show you how to choose the right panel van for your needs, how to fit the roof, the windows and furniture, plus step-by-step guides to fitting cookers, water supply, wash-stands, heaters and more. A detailed step by step guide with 500 illustrations, covering every aspect of the conversion, you save a fortune and learn a lot! Covering the collectable Buses produced by Volkswagen between 1950 and 1990, this volume provides a story of the high-points and pitfalls of buying such models. Written by enthusiasts, it is informative to the novice, while still being of considerable value to those who have already owned a Bus. 'A camper is not just a camper. It's whatever you want it to be.' Introduced in the 1950s, the campervan was designed to be multi- functional. Since then, it has taken on a life of its own, or rather, it has been taken into the lives of its owners. Some treat them as an extension of their home, others undertake epic journeys in them, across desert and sea, through Europe, Asia and Africa. Some strap surfboards to the roof and head for the nearest beach, while others soup up the engines and take them drag racing in Santa Pod. All will spend hours restoring and customising them and even more talking about them with fellow bus owners. This is the complete guide to Volkswagen's Transporter, which has now surpassed even the Beetle in popularity, particularly in camper form. The author provides a brief history of the Transporter, through its first three incarnations, between 1950 and 1990, before describing each model in detail. Whole chapters are then dedicated to camper conversions and special models before moving on to discuss the practicalities of buying, owning, maintaining and modifying a Transporter today. This book is the perfect companion for beginners and long-term enthusiasts alike. The only book currently available that comprehensively deals with the realities of restoring a VW Bay Window Bus. With over 1500 mainly color photos, it clearly guides the reader through body and chassis repairs, paint work, interior re-trimming and most of the common mechanical problems. The skills, techniques and even the tools needed to complete these tasks are explained in jargon free language to ensure that even those enthusiasts with no previous restoration experience will feel confident in sorting out their Bus. An indispensable and unique guide for lovers of these fast appreciating classics. This lavish volume celebrates in words and pictures the 60th anniversary of the launch of Volkswagen's ubiquitous Transporter. Making full use of Volkswagen's archive material and wonderfully staged brochure pictures, the author creates an authentic period feel as he traces the development of the Transporter through the decades. Produced in a large and extensive format, and with a superb design, this book is a treasured memento of a landmark in production and an authoritative point of reference thereafter. Few realize that the VW bus, generally associated with the freewheeling sixties, was initially designed as a basic delivery van to aid post-WWII reconstruction efforts. Introduced more than fifty years ago, the VW bus outgrew its utilitarian beginnings and transformed the family vehicle into a mobile home away from home. Complete with roll-out beds, stoves, showers, and even kitchenware, the VW camper was marketed as a luxury getaway vehicle, the perfect means to trade the stress of city life for a weekend in the countryside. VW bus owners cherish their vehicles and fully incorporate them into their lives: some treat them as an extension of their house, while others undertake epic journeys in them, across desert and sea. Some strap surfboards to the roof and head for the nearest beach, and still others soup up the engines and take them drag racing. All will spend hours restoring and customizing them and even more time talking about them with fellow bus owners. Traveling with the VW Bus and Camper is an exuberant tribute to this passion, and, of course, to the VW bus itself. The book traces the cult of the camper, from family errands to vacation home to design icon. Chapters engagingly describe road trips from England to Afghanistan to India and back; ad campaigns that sell the VW bus lifestyle; stock as well as highly customized vans; and weddings and other family events that feature buses in their ceremonies. Whether you've owned a camper for years or merely coveted the colorful van in your neighbor's driveway, Traveling with the VW Bus and Camper is a great addition to your own personal library or a friend's. This repair manual covers all Volkswagen (VW) Transporter 1600 models with 96.7 cu. in. (1584cc) engine. Note: this manual does not cover the alternative bodies and conversions produced by specialist manufacturers. Introduction: Vehicle identification numbers; Buying parts; Maintenance techniques, and more. Tune-up and routine maintenance; Engine and overhaul procedures; Cooling, heating and air-conditioning systems; Fuel and exhaust systems; Engine electrical systems; Emissions control systems; Transmission; Brakes; Suspension and steering systems; Body; Chassis electrical system; Wiring diagrams. 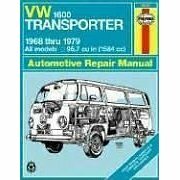 This repair manual covers all Volkswagen (VW) Transporter 1700, 1800, and 2000 models with 102.5 cu. in. (1.7 liter), 109.5 cu. in. (1.8 liter), and 120.2 cu. in. (2.0 liter) engines, 1972 to 1979. Note: this manual does not cover the alternative bodies and conversions produced by specialist manufacturers. This repair manual covers Volkswagen Transporter T4 from 1990-1995, including short and long wheelbase, Van, Caravelle, and Bus with 2.0 and 2.5 Liter gasoline and 1.9 and 2.4 Liter diesel engines and automatic transmission. Written for the owner who wishes to maintain his or her VW Transporter T4 in first class condition and to carry his own servicing and repairs. Comprehensive step-by-step instructions and illustrations are given on all dismantling, overhauling and assembling operations. Throughout the manual hints and tips are included which will be found invaluable. Covers 1.9L, 2.4L and 2.5L TDI diesel engines for models Van 800, 1000, 1200 - Caravelle CL and GL - Bus, long and short wheelbase. Covers various T4 Diesel vehicles, including Vans-800, 1,000, and 1,200 - Caravelle CL and GL Bus. Engines covered include: Diesel 1.9L, 2.4L and 2.5L TDI. This is a practical guide to modifying VW Bus suspension, brakes and chassis for maximum performance. It contains valuable information on using aftermarket parts and interchangeable parts from other production vehicles to achieve maximum performance. This comprehensive guide is the first one to tell the whole story of the Volkswagen Bay-Window Transporter, produced from 1967 to 1979. It deals with the Transporter's development, its technical evolution, the model codes, the specification detail changes, the factory fitted M-codes and Transporter export. Using this book, Bus enthusiasts can crack the codes of their own specific vehicle, to find out the factory-fitted specifications like paint and trim colours, engine and transmission types and even, the date of manufacture, model and destination code. It is sixty years since the idea of VW's Transporter was conceived by Dutchman Ben Pon after seeing motorized trolleys, known as plattenwagen, conveying components around the British-managed Wolfsburg factory in the mid-1940s. Pon's idea was initially dismissed but reconsidered by Heinz Nordhoff when appointed VW's chief executive in 1948. The Transporter changed little in concept throughout decades of production, and it is a tribute to its original notion that it remains in production in Brazil, nearly six decades after its postwar German debut. This thoroughly researched book explores the VW bus story, from its origins to the present day; the history of this familiar and much-loved vehicle is chronicled in an evocative style. This entirely new edition of the acclaimed book first published in 1997 includes the story of the world's most famous camper and includes full specifications, production details and buying advice. The Transporter remained little changed throughout four decades of production during which over 5 million examples were produced by factories and assembly plants all around the world. This text is a heavily illustrated history of VW's charismatic and popular Type 2 "Transporter" from the early "split-screen" era through the "bay window" models to the last generation. Two Clots in a Camper tells how a couple take to the roads of Europe in their beloved ageing V W camper van called 'Pooh the Bus'. Mistakes made and lessons learned are conveyed to the reader in a humorous style as if chatting to the pair around the campfire. Experience the real joys of a freedom to travel that few modern busy people can experience. The VW Camper Van has attracted devotees for over sixty years as explorers and families have driven their beloved campers across every part of the world. From split screens to bay windows the VW Camper has become part of our living history. And as this highly rated Discovery TV series finds out their owners will spend tens of thousands of pounds to restore and customise their Campervan... Nigel’s beloved Campervan is held together with rust and filler and he is too embarrassed to take it to a VW show. But Nigel has a dream - that one day his rusting hulk of metal will be tearing down the drag strip at Santa Pod. He has only 150 days and just £12,000 to achieve his dream. Can Nigel transform his embarrassing excuse for a Campervan into a VW showpiece to be proud of? Or will he suffer a Campervan Crisis? This book is the most comprehensive for procedures. Has everything you need to know. However, a word of caution if you are not at least a shade tree mechanic you should also get a companion book like Jon Muir's How to Keep Your Volkswagen Alive 19 Ed: A Manual of Step-by-Step Procedures for the Compleat Idiot. This has step by step instructions while the factory manual is just the procedures that dealer technicians are instructed to use. First published in 1969, this classic manual of automotive repair equips VW owners with the knowledge to handle every situation they will come across with any air-cooled Volkswagen built through 1978, including Bugs, Karmann Ghis, vans, and campers. With easy-to-understand, fun-to-read information- for novice and veteran mechanics alike-anecdotal descriptions and clear language, this book takes mystery out of diagnostic, maintenance, and repair producers, and offers some chuckles along the way. The popularity of the VW Transporter, in particular the early Split Screen models, continues to grow and it has become a cult icon. This title brings together the complete history of the Split Screen Transporter produced from 1950-1967. This unique and invaluable book gives the history of the legendary Split Screen VW Microbus in all its guises, from its introduction in 1950 to its replacement by the 'bay window' model in 1967. It offers the VW owner and enthusiast a comprehensive guide to production changes, specifications and options. Though first published in 1994, this little gem is still a classic must-have for any VW Bookshelf. At its time it was the first book of its kind on the market, with advice on buying a bus and detailed sections of restoration with step by step guides for rust treatment, panel replacement and prepping and painting as well as an overview of history, spec changes etc. Performance Mods are also covered and info on engine tuning and lowering is still as informative today as back then. The section on Cal Look and custom is now a fascinating look back at the scene just a few short years ago. Though fashions and tastes have moved on and other books have updated and expanded on details and specs, this book remains a classic. And part of it's appeal now lies in pictures of buses several years ago, many of which are still going strong! Period photos and brochure shots sit alongside contemporary photos giving the book a strong visual appeal as well as informative and detailed text. A methodical, yet lively record of VW's Transporter over its first 40-years, which presents the vehicle in the same lavish formats of artistry and photography selected by Volkswagen over the decades. Model history and range development outlined (including Campers), specifications (including USA terminology), and performance discussed with a particular emphasis on marketing and advertising strategies. This budget priced little gem takes a US perspective and showcases lots of lovely buses. The actual historical background and information is already well covered in other books but it's nice to see it from another perspective and the author's knowledge and passion is clear throughout. Unlike many other titles, it does include all generations of bus, including Vw Concept Microbus, so the whole community is covered. I especially enjoyed the chapter on Community, and the profiles of differing types of bus owner: The Purist, The Authority, The Cheap Fixer, The Radical Changer, The Perfectionist, The Clueless - yes you'll recognize them all! The Photography is excellent throughout showcasing not just original condition buses but rusty rats and lurid paint schemes and people using buses just to enjoy them. Bussing in the USA! A recommended read. Aimed at enthusiasts, this is a detailed guide to the restoration of split-window Volkswagen Transporters of 1950-67 and the bay-window models of 1967-79. All the models covered - panel van, pick-up truck, double cab truck, combi, micro-bus, highroof panel van - are photographed in detail by a team of international automotive photographers. 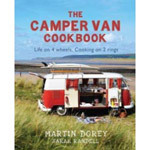 The Camper Van Cook Book: Life on 4 Wheels, Cooking on 2 Rings. Say goodbye to roughing it. And hello to a new kind of freedom. 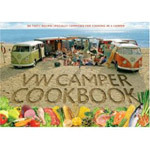 With over 80 fabulously tasty recipes you can cook on just two rings and a few barbeque feasts and camp fire crackers, this is the dashboard bible for anyone who ever dreamed of hitting the road at the wheel of a classic VW camper. From finding and cooking your own food to passing muster with the surfing set, THE CAMPER VAN COOKBOOK will show you how to make the most of every single moment on the road. The Little Book Of Camper Van. Select and Convert Your Bus into a Motorhome on a Shoestring by Ben Rosander is an easy to read primer for anyone contemplating this rewarding project. This 100 Page book includes over 175 photos, drawings and basic plans and will help the reader see what has been and can be done in a bus conversion. While the primarily focus is on economical school bus conversions, this book also includes information applicable to larger highway coaches. Loaded with practical tips and both the positive and negative aspects on conversions, this book is a must read for both the novice and experienced converter. The History of the VW Campervan traces the evolution of the Camper and features campers from every generation and notable variant. This brand new programme is filmed in stunning HD and uses never seen before archive footage from Volkswagen s own museum, including the original sketched design and rare TV commercials from the VW Campervans illustrious past. The iconic VW Camper has stood the test of time through five generations and more than six decades. With cool curves and enormous flexibility, the VW Type 2 Transporter soon won the hearts of the public and revolutionised the possibilities for freedom and adventure as companies and individuals transformed their Types 2s into VW Campers. With footage spanning 5 decades and interviews with experts and VW Engineers this DVD is a must for all fans of the iconic Campervan..
One way to become the proud owner of a motorcaravan or camper van is to design and build it yourself. Not only can you create a distinctive holiday home, but you can also control the cost. Whether you want to fit out a van, renovate a camper, revive an old model or build one from scratch, this manual will show you how. It gives hands-on explanations about electrical systems, water supplies, storage ideas and saving weight when working with wood. All is revealed in this practical book.